Don’t you love the winter season? The holidays are the time when you can gather together with close friends and family! Can’t you feel the warm fire on those cool nights while sipping hot cocoa? I am now thinking of this year’s first snowfall; it’s so exciting and a beautiful sight to see when it arrives. Unfortunately, there is one downfall when it comes to the colder weather… DRY HAIR! The harsh and cold air can wreak havoc on our natural hair by drying it out, making it brittle and even causing breakage and split ends. It can also irritate your scalp and the dryness will make it difficult to retain any length. Here are some tips that can elevate stress and keep your hair soft and moisturized throughout the winter months. The winter can be a little harder on your hair, but these tips will keep your hair flourishing all season! My first tip on how to rescue your dry hair this winter is by deep conditioning. Deep conditioning will fortify the hair with either moisture, protein or both, leaving the hair hydrated from the inside out. I like to use Uncle Funky’s Daughter’s Heal and Renew Intensive Hair Masque to treat my curls with elasticity and softness. This silk protein mask has an amazing blend of organic argan oil which boosts cell production, and it also penetrates your hair strands to nourish keratin, which is the building block of hair strands. It contains organic baobab oil which is a superb moisturizer that penetrates quickly and easily without leaving a greasy film, in addition to relieving dry, cracked skin and helping skin and hair retain moisture. Lastly, it contains organic peppermint oil which will stimulate hair growth by increasing blood circulation to the scalp. I use this treatment after cleansing monthly to give my hair the nutrients it needs to stay protected during the winter season. Another tip that is beneficial to our natural hair is to layer hair products by moisturizing and sealing. In the winter months, I find that my hair needs more moisture than in the warmer months so I layer products on top of each other to lock the moisture and hydration on my strands. For example, I will first add a leave in conditioner, then layer a moisturizer over top and then I may seal it all in with an oil or a hair butter. I make sure not to use a lot of each product but just enough to ensure my strands are coated. By doing this technique I am able to get moisture to last for at least 5 days without having to restyle. 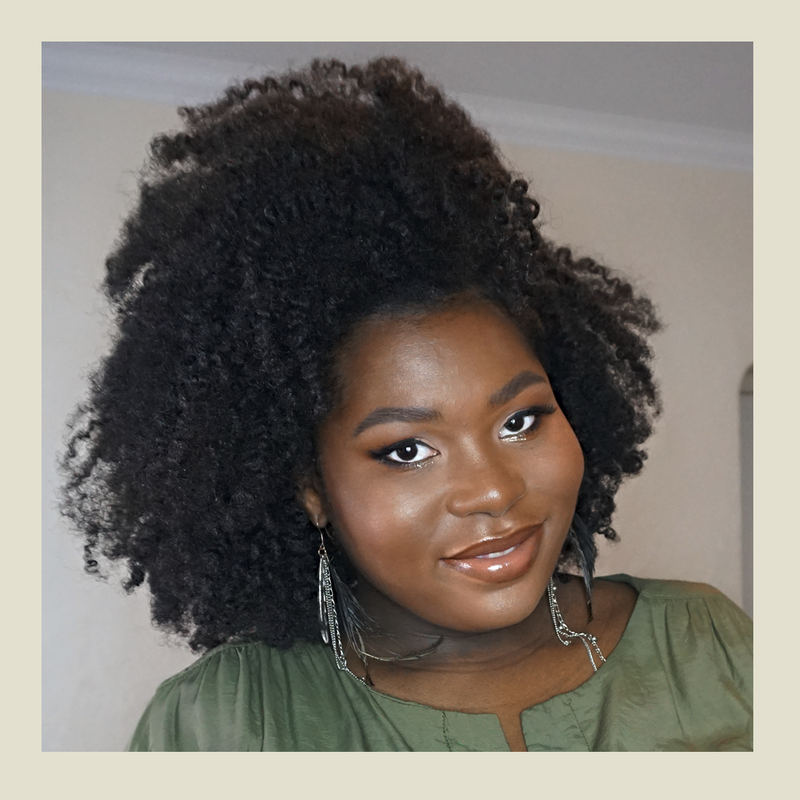 The products I like to use for this technique from Uncle Funky’s Daughter are first Thirsty Curls Leave-in Curl Revitalizer, then the Good Hair Styling Conditioning Crème, and finally either the Extra Butter Curl Forming Crème or seal with the Shining Star Hair and Scalp Elixir. These products will give you touchably soft curls that will last through cold weather. Deep conditioning is super important for the cold winter months! 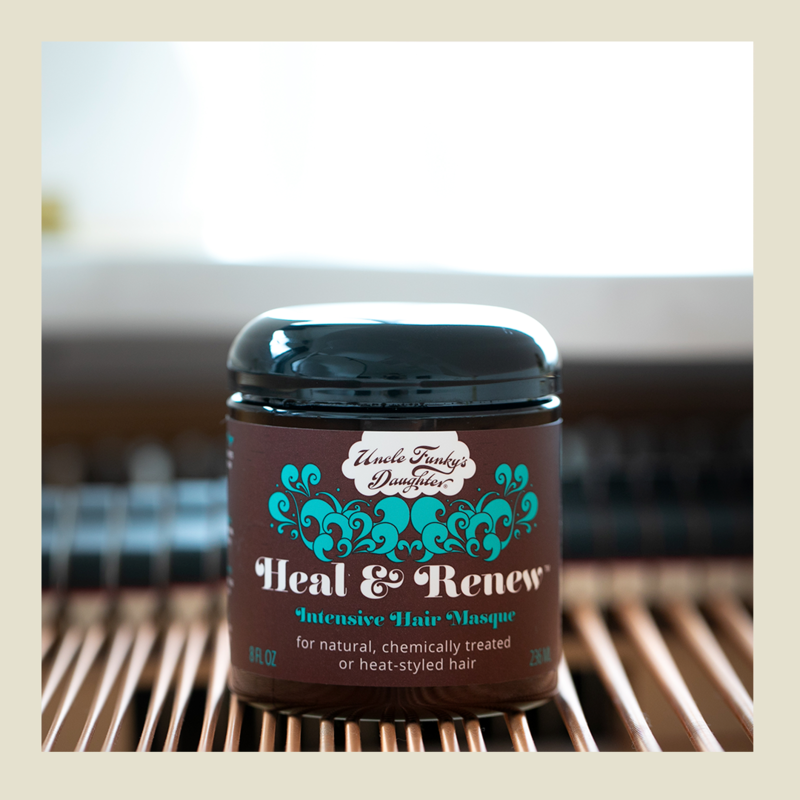 Check out Heal & Renew at unclefunkysdaughter.com. Lastly, another important tip is to do some low manipulation styles or even protective styles during these winter months. This will keep your hands out your hair and also keep your ends tucked away from the dry air. I like to do mini twists, braids or even wear turbans and head wraps. That allows me to retain a lot of length because my hair and ends stay protected. We can all get through this winter season by just giving our hair the extra TLC it needs to have healthy manageable hair and in the end, that’s all we really strive for.